While the initial bottling of Brenne Whiskey was impressive, this extremely limited bottling promises even more. 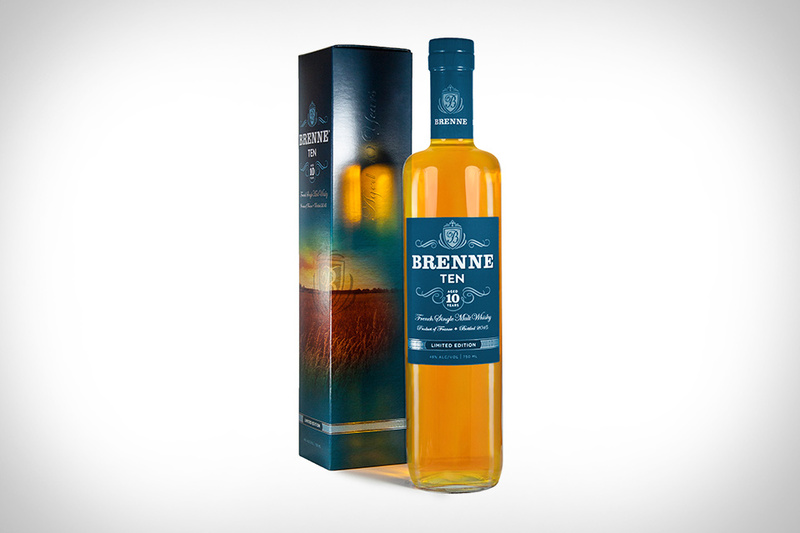 Brenne 10 Whiskey is a precise blending of four casks of Brenne French Single Malt Whiskey, selected personally by Brenne's founder Alison Patel. Every ounce of this fine single malt was asleep for a decade in a combination of virgin French Limousin oak barrels and barrels previously used for aging Cognac and the flavors that shine through, making it one of the most unique spirits we've ever had the pleasure of tasting. Makers of famed Irish whiskies like Jameson and Green Spot for decades, Midleton Distillery aren't afraid to experiment as well. Midleton Dair Ghaelach Whiskey is a prime example, as it's the first from the distillery to be aged in native Irish oak before bottling. The juice is a combination of whiskey aged 15 to 22-years-old that was first aged in bourbon casks before being transferred to Irish oak hogshead. It's bottled at 116.2 proof, and each bottle can be traced to one of 10 130-year-old Irish oak trees. Just in time for the fall season, Hudson Maple Cask Rye Whiskey will add a unique element to classic cocktails. Hudson partnered with a maple syrup producer in Vermont who aged their syrup in Hudson barrels, before the barrels returned home to house Rye Whiskey before bottling. The syrup flavors mingle with the whiskey to create a light maple, caramel flavor that promises to be a great way to experiment behind your bar with cocktails like the Old Fashioned. If there's one thing we know about WhistlePig, it's that they select some of the best rye whiskey barrels around. It turns out they have a knack for experimentation as well, as evidenced in their award winning Old World Rye Whiskey. The 12-year-old expression is a blend of ryes finished in French Sauternes, Madeira and Port casks, creating a smooth, flavorful experience that is truly unique. It took home the Double Gold Award for best rye at the 2015 San Francisco World Spirits Competition and is a must for all rye whiskey fans. Whether Jack Daniel's is already your whiskey brand of choice, or you've strayed from the classic brand in search of new tastes, you'll want to make sure you try the new Single Barrel Barrel Proof offering. Rolling out next month nationwide, this JD expression uses the same 150-year-old recipe that put the brand on the map, but it's not watered down at all, with proofs ranging from 125 to 140. Each barrel will vary a bit, but what won't is the opportunity to sample a timeless whiskey straight from the barrel to the bottle, to your glass. Produced in the 1890's in Maryland, Pikesville Rye was a favorite amongst a booming rye industry. Prohibition killed it, however, only to see it return afterward and die off again decades later. This 110 proof offering flies the proud Pikesville name anew and has quickly become one of the most decorated ryes on the market. Known for their line of top notch scotch whiskies, The Glenlivet is ready to treat travelers to this Master Distillers Reserve Small Batch Scotch. One of three new expressions, the Small Batch is a single malt, triple-cask matured whiskey, and carries a unique batch number. Each cask was tested and selected by master distiller Alan Winchester, whose name is inscribed on each bottle. It's another desirable dram from The Glenlivet, and is rolling out across global duty free stores starting in July.